In the year 2000 Rajiv Gandhi Housing Corporation Limited was created as a special purpose vehicle “To provide housing for socially and economically weaker sections of the society through RGRHCL with effective implementation of Central and State housing schemes”. PMAY is being implemented in convergence with State housing scheme viz., Vajapayee Housing Scheme, Ambedkar Housing Scheme, Special Housing Scheme, PKGB etc. 271 cities are selected under PMAY. Private Developer KSDB, KHB, UDAs, ULBs, etc are identified as Implementing Agencies. 1) To provide housing for socially and economically weaker sections of society through effective implementation of State and Central Government schemes. 2) To promote cost effective environmental friendly innovative technologies in the field of housing. 3) To provide choice to the people in the housing design, material and technologies. 4) To design schemes for Special Groups like Widows, leprosy cured, HIV affected, Devadasis, Tribals, Nomadics etc..
5) To provide Group Housing for Special occupation Groups, like; Artisans, Weavers, Beedi Workers, etc..
6) To promote extensive use of IT(Information Technology) for effective implementation of Government schemes. 7) Promote Cost-effective building technologies specially in Rural areas through strengthening of Nirmithi Kendras and establishing new Kendras. 8)Transparency and Efficiency in Management. The Company promotes Self-Help housing and supports the initiative of the beneficiaries. The Company has taken the following initiatives. Selection of beneficiaries is only from the eligible houseless list approved in the Gram Sabha. The beneficiary has the first option to construct the house on his own initiative. Construction assistance is provided by the Company, if required by the beneficiary. Nirmithi Kendras, through Model Houses, demonstrate the practical usage of cost effective technology and housing concepts like Core housing, Incremental housing, sites and services etc. 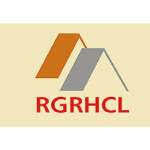 For applying housing and other details visit the following RGRHCL link 24/7 and all 365 days.